This also means a lot to us! Therefore, we offer our guests free cancellation one day before arrival in the interseason and the low season. 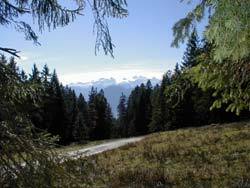 The inner Salzkammergut weather is favorable during spring and fall because it is less foggy! When there's a south wind, the sky is blue at the beginning of the Dachstein massif. Just give us a call, we look forward to keeping you informed!